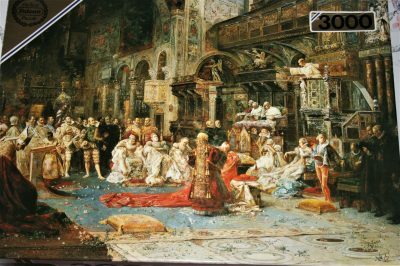 Gibsons manufactured this puzzle in 1994 on behalf of the Victoria and Albert Museum, London. The title is Miss Amy Miles’ Dolls’ House. 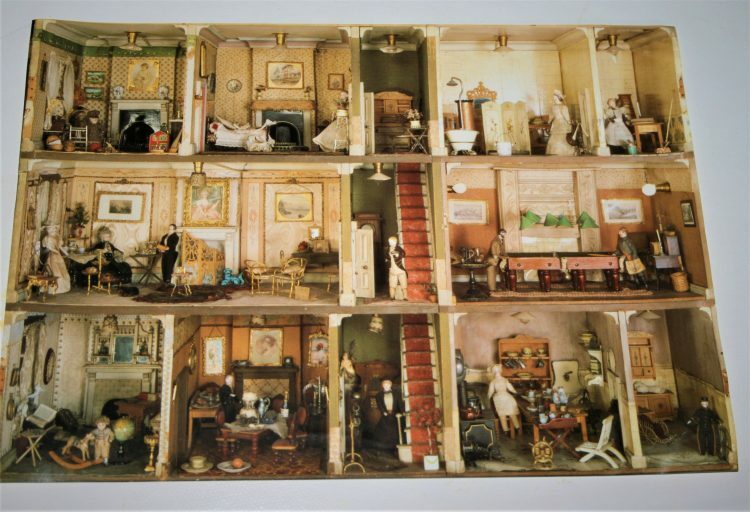 This dolls’ house was made for Amy Miles when she was a child in about 1890. It is one of the very few dolls’ houses that are accurate copies of real-life. 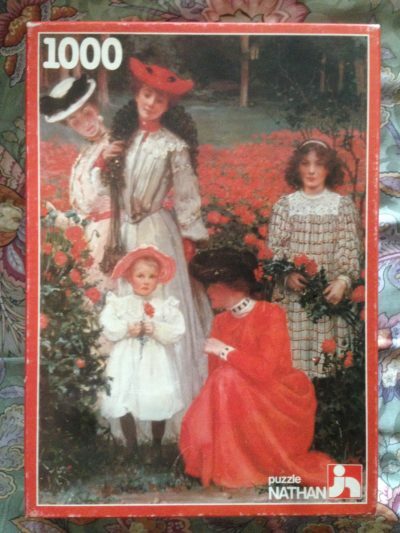 In 1921 she donated the dolls’ house to the Bethnal Green Museum, part of the V & A Museum, London. 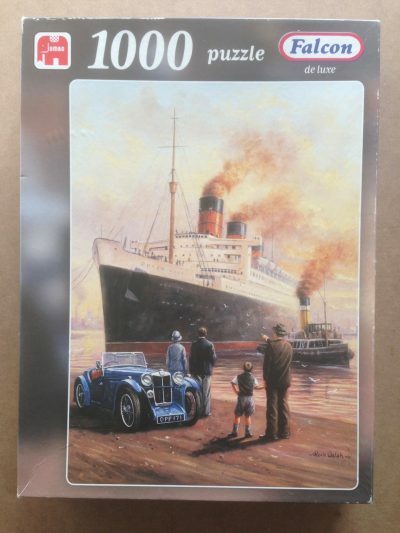 This puzzle is now difficult to find, especially in new condition. 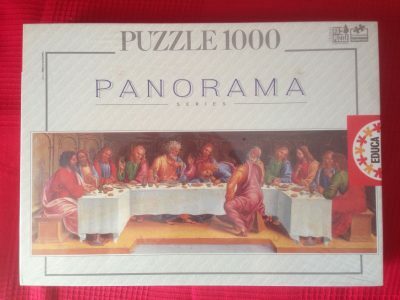 The puzzle includes a reduced copy of the image for reference. 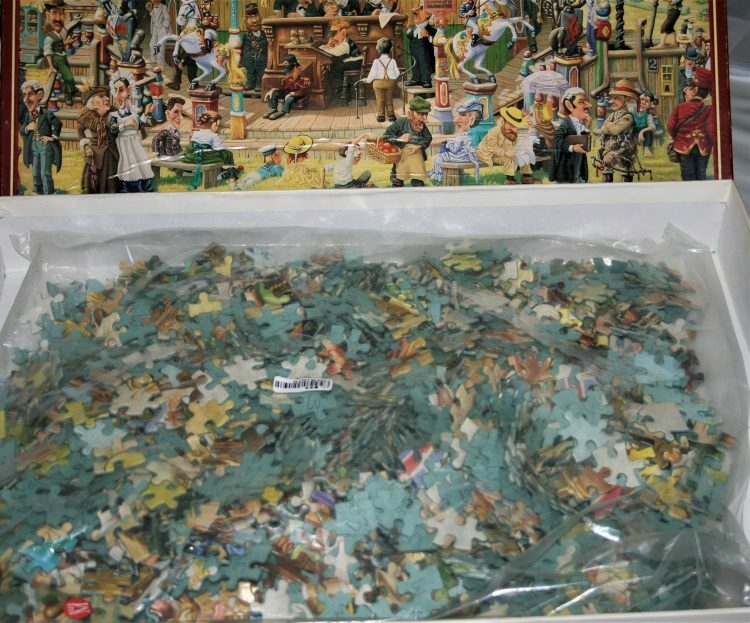 This puzzle is like NEW, with all the pieces SEALED inside the original plastic bag. 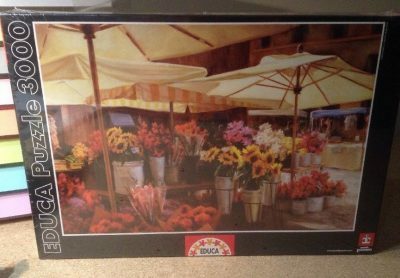 Puzzle size: 49 x 68.5 cm. Box size: 36 x 36 x 4.5 cm.